Keeping the custom he began as archbishop of Buenos Aires and has faithfully maintained through his six-year pontificate, earlier tonight the Pope began the Paschal Triduum by celebrating the Evening Mass of the Lord's Supper at another site on the "peripheries" – this time, choosing a prison in Rome's suburbs. While Francis famously abolished the Missal's traditional restriction of women from this liturgy's ritual act of the washing of the feet, the nature of the facility saw the pontiff perform the act on 12 men for the first time since his 2013 election. I greet you all and thank you for your welcome. A couple days ago, I received a beautiful letter from some of you who aren't here today, but they said some beautiful things and I'm grateful for what they wrote. 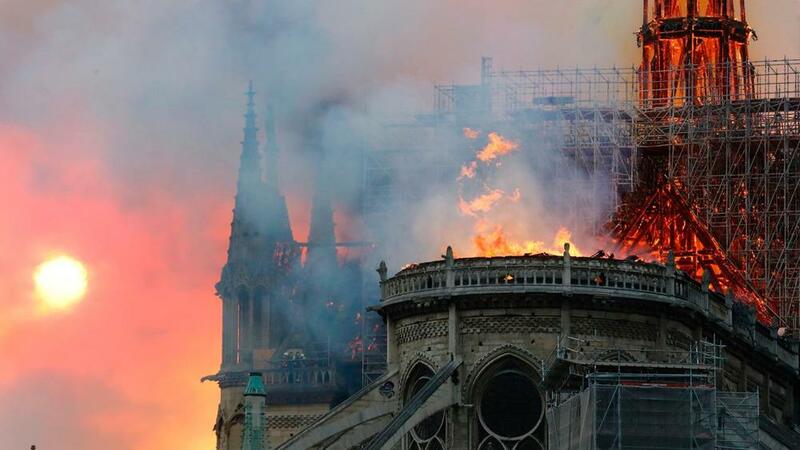 In this prayer, I'm very united to everyone: those who are here and those who are not. We've heard what Jesus did. It's interesting. The Gospel says how "Jesus, knowing that the Father had taken everything into his hands," while Jesus had all the power, all of it. And then, he begins this gesture of the washing of the feet. It's an act that slaves did in that time, because there wasn't asphalt in the streets then and people had dirty feet when they arrived; when they came to a house for a visit or for lunch, it was the slaves who washed their feet. And Jesus does this: washes the feet. It's the act of a slave: He, who had all power; He, who was the Lord, does a slave's work. And then he urges them all: "Do this also amongst yourselves." That is, serve each other, be brothers in service, not in ambition, not like one who dominates over the other or tramples the other – no – but be brothers in service. You need something, some service? I will do it. This is brotherhood. Brotherhood is humble: it's always at service. 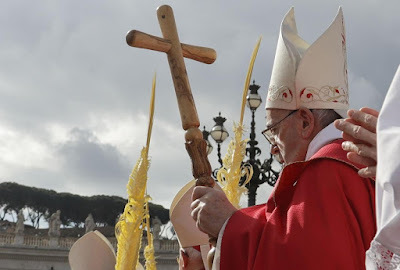 And I will make this service – the Church wants the bishop to do this each year, once a year, on Holy Thursday – to imitate the act of Jesus and likewise to do well in his example for himself, that the bishop might not be the most important, but that he must be the greatest servant. And each of you should be servants of each other. This is the rulebook of Jesus and the rules of the Gospel: the way of serving, not of dominating, of making evil, of humiliating others. Service! Once, when the apostles were fighting among themselves, they talked about "which one is the most important among us," and Jesus took a child and said: "The child. If your heart isn't the heart of a child, you cannot be my disciples." The heart of a kid, simple, humble but a servant. And he adds on something interesting that we can link with tonight's act. He says, "Stay alert: the heads of nations might rule, but it cannot be so among you. The greatest among you must serve the least. Who feels himself greatest should be the servant." All of us too much be servants. It's true that, in life, there are problems: we fight each other... but this should be something passing, a fleeting thing, because in our heart there always has to. be that love of serving the other, of being at somebody else's service. And may this act I make tonight be for all of us an act that helps us to be better servants of each other, better friends, better brothers in service. With this in mind, let us continue with the washing of the feet. The Gospel of Luke, which we just heard, makes us relive the excitement of that moment when the Lord made his own the prophecy of Isaiah, as he read it solemnly in the midst of his people. The synagogue in Nazareth was filled with his relatives, neighbours, acquaintances, friends… and not only. All had their eyes fixed on him. The Church always has her eyes fixed on Jesus Christ, the Anointed One, whom the Spirit sends to anoint God’s people. The Gospels frequently present us with this image of the Lord in the midst of a crowd, surrounded and pressed by people who approach him with their sick ones, who ask him to cast out evil spirits, who hear his teachings and accompany him on the way. “My sheep hear my voice. I know them and they follow me” (Jn 10:27-28). The term “crowd” is not disparaging. Perhaps to some people’s ears, it can evoke a faceless, nameless throng... But in the Gospel we see that when the crowd interacts with the Lord – who stands in their midst like a shepherd among his flock – something happens. Deep within, people feel the desire to follow Jesus, amazement wells up, discernment grows apace. I would like to reflect with you on these three graces that characterize the relationship between Jesus and the crowd. The second grace that the crowd receives when it follows Jesus is that of joy-filled amazement. People were amazed by Jesus (Lk 11:14), by his miracles, but above all by his very person. 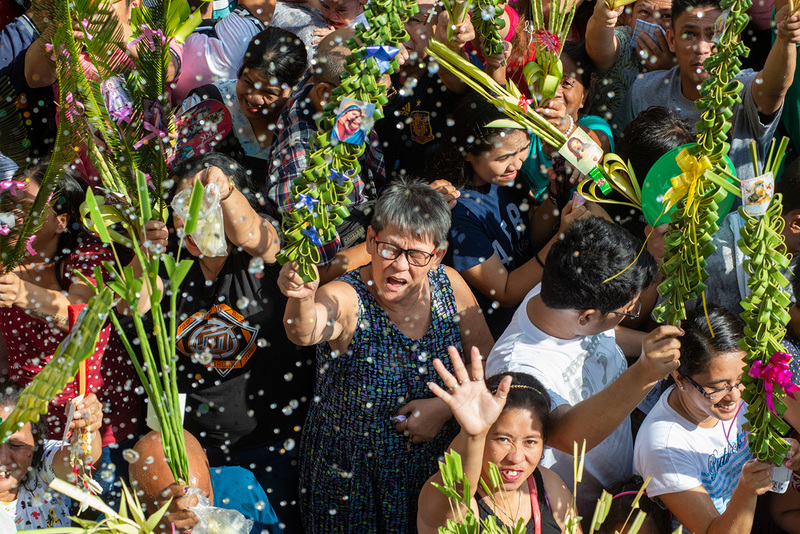 People loved to meet him along the way, to receive his blessing and to bless him, like the woman in the midst of the crowd who blessed his Mother. The Lord himself was amazed by people’s faith; he rejoiced and he lost no opportunity to speak about it. The third grace that people receive is that of discernment. “The crowds found out [where Jesus had gone], and followed him” (Lk 9:11). They “were astounded by his teaching, for he taught them as one having authority” (Mt 7:28-29; cf. Lk 5:26). Christ, the Word of God come in the flesh, awakens in people this charism of discernment, which is certainly not the discernment of those who specialize in disputed questions. When the Pharisees and the teachers of the law debated with him, what people discerned was Jesus’ authority, the power of his teaching to touch their hearts, and the fact that evil spirits obeyed him (leaving momentarily speechless those who tried to trap him by their questions; the people liked that). Let us take a closer look at the way the Gospel views the crowd. Luke points out four large groups who are the preferred beneficiaries of the Lord’s anointing: the poor, the blind, the oppressed and captives. He speaks of them in general terms, but then we are glad to see that, in the course of the Lord’s life, these anointed ones gradually take on real names and faces. When oil is applied to one part of the body, its beneficial effect is felt throughout the entire body. So too, the Lord, taking up the prophecy of Isaiah, names various “crowds” to whom the Spirit sends him, according to what we may call an “inclusive preferentiality”: the grace and the charism given to one individual person or a particular group then redounds, like every action of the Spirit, to the good of all. The poor (in Greek, ptochoi) are those who are bent over, like beggars who bow down and ask for alms. But poor too (ptochè) was that widow who anointed with her fingers the two small coins which were all she had to live on that day. The anointing by the widow to give alms went unnoticed by the eyes of all except Jesus, who looks kindly on her lowliness. Through her, the Lord can accomplish fully his mission of proclaiming the Gospel to the poor. Paradoxically, the disciples heard the good news that people like her exist. She – the generous woman – could not imagine that she would “make it to the Gospel”, that her simple gesture would be recorded in the Gospel. Like all those men and women who are the “saints next door”, she lives interiorly the joyful fact that her actions “carry weight” in the Kingdom, and are worth more than all the riches of the world. The blind are represented by one of the most likable figures in the Gospel: Bartimaeus (cf. Mt 10:46-52), the blind beggar who regained his sight and, from that moment on, only had eyes to follow Jesus on his journey. The anointing of the gaze! Our gaze, to which the eyes of Jesus can restore the brightness which only gratuitous love can give, the brightness daily stolen from us by the manipulative and banal images with which the world overwhelms us. To refer to the oppressed (in Greek, tethrausmenoi), Luke uses a word that contains the idea of “trauma”. It is enough to evoke the parable – perhaps Luke’s favourite – of the Good Samaritan, who anoints with oil and binds the wounds (traumata: Lk 10:34) of the man who had been beaten by robbers and left lying at the side of the road. The anointing of the wounded flesh of Christ! In that anointing we find the remedy for all those traumas that leave individuals, families and entire peoples ignored, excluded and unwanted, on the sidelines of history. The captives are prisoners of war (in Greek, aichmalotoi), those who had been led at the point of a spear (aichmé). Jesus would use the same word in speaking of the taking of Jerusalem, his beloved city, and the deportation of its people (Lk 21:24). Our cities today are taken prisoner not so much at spear point, but by more subtle means of ideological colonization. Only the anointing of culture, built up by the labour and the art of our forebears, can free our cities from these new forms of slavery. 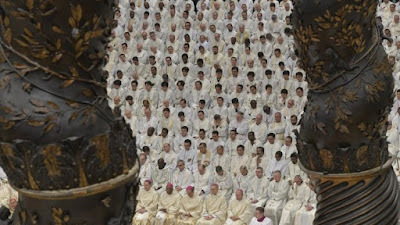 As for us, dear brother priests, we must not forget that our evangelical models are those “people”, the “crowd” with its real faces, which the anointing of the Lord raises up and revives. They are the ones who complete and make real the anointing of the Spirit in ourselves; they are the ones whom we have been anointed to anoint. We have been taken from their midst, and we can fearlessly identify with these ordinary people. They are an image of our soul and an image of the Church. Each of them incarnates the one heart of our people. I confess to you that whenever I confirm and ordain, I like to smear with chrism the foreheads and the hands of those I anoint. In that generous anointing, we can sense that our own anointing is being renewed. I would say this: We are not distributors of bottled oil. We anoint by distributing ourselves, distributing our vocation and our heart. When we anoint others, we ourselves are anointed anew by the faith and the affection of our people. We anoint by dirtying our hands in touching the wounds, the sins and the worries of the people. We anoint by perfuming our hands in touching their faith, their hopes, their fidelity and the unconditional generosity of their self-giving. The one who learns how to anoint and to bless is thus healed of meanness, abuse and cruelty. By setting us with Jesus in the midst of our people, may the Father renew deep within us the Spirit of holiness; may he grant that we be one in imploring his mercy for the people entrusted to our care and for all the world. In this way, the multitude of the peoples, gathered in Christ, may become the one faithful people of God, which will attain its fullness in the Kingdom (cf. Prayer of Priestly Ordination). On a quick logistic note, the date of the installation has been moved to Tuesday, 21 May due to a scheduling conflict for the Western bench. All told, a hefty turnout of the American hierarchy is expected for the capital rites, both to support its former President... and, indeed, to thank him for taking the job so they didn't have to. 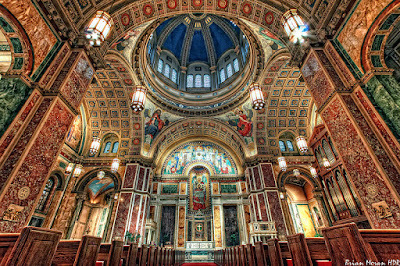 WASHINGTON – Over the last nine months, as this capital church has become the local nexus of the gravest crisis modern American Catholicism has known, the stakes facing its next leader have only ever increased. And now, a process that turned longer and more unwieldy than expected has reflected that reality, producing the figure who, in the minds of many, became the only possible choice – and a historic one, to boot. 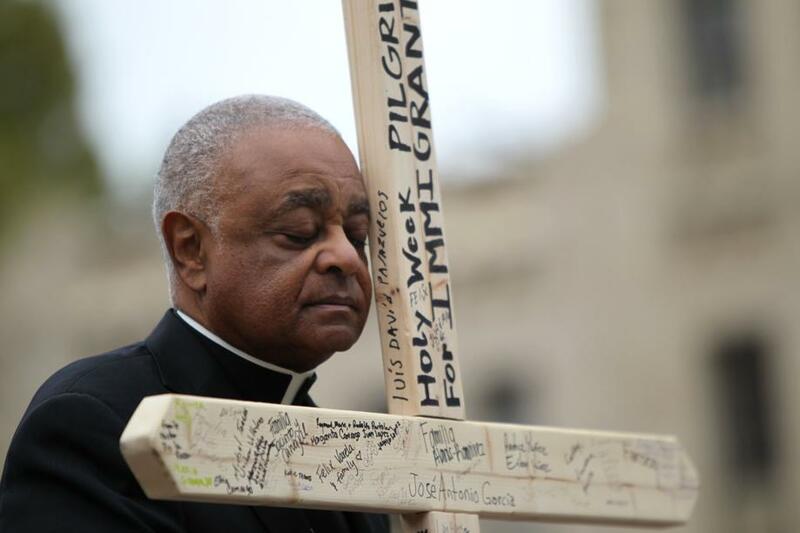 Six months since the Pope reluctantly granted Cardinal Donald Wuerl's long-delayed retirement after the scandal's first throes engulfed his tenure, at Roman Noon this April 4th, Francis has tapped Wilton Daniel Gregory – the 71 year-old archbishop of Atlanta best known as the face of "zero tolerance" in leading the US bishops' response to the 2002 crisis – as the Seventh Archbishop of Washington, now home to nearly 800,000 Catholics amid three decades of marked growth. Of course, the date is auspicious, and seemingly not coincidental. Nearly four years since the pontiff cited Dr Martin Luther King as an exemplar of the American Dream in the first-ever papal address to Congress, today marks the 51st anniversary of Dr King's assassination in Memphis – and that it brings the emergence of the figure now virtually certain to be the first African-American to enter the College of Cardinals gives this appointment a symbolic storyline beyond the crisis: in itself, a feat few other choices could've accomplished at the outset. Between the high local anger and intense wider focus on the DC church over the scandals – and even without that, the challenge of dealing with the nation's searing political polarization in the exacerbated context of the capital – it bears repeating that this is a job nobody wanted (and anyone who might've tried angling for it would, in essence, be immediately disqualified). 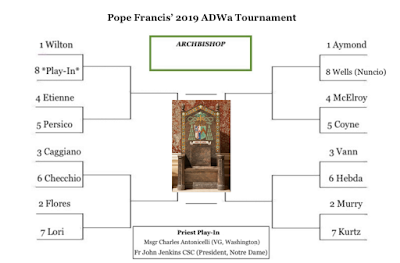 Indeed, not since the 2003 appointment to Boston in the wake of Cardinal Bernard Law's fall amid the crisis' first national round has an American pick been so closely watched or seen as a make-or-break move far beyond the diocese in question. What's more, however, as one leading op told Whispers as the process wended on, unlike any prior US opening of this magnitude, the stakes here were such that "Every man being mentioned is looking at every decision he's ever made," with many ruling themselves out from the glaring spotlight. 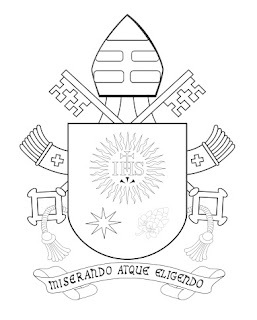 That mindset was echoed by another top source, who noted that while a prelate who tried to decline a major appointment like this would normally be prodded to accept, in this case, "if somebody doesn't, no questions would be asked." For his part, after 14 years of near-bliss at the helm of an Atlanta fold now boomed to 1.2 million members (six times its 1990 size) – and, having been named an auxiliary of Chicago at 35, spending more than half his life as an active bishop – the sense in Wilt-world is that the eventual choice was initially no less reluctant should the call come his way. Over the first several months of the vacancy, that expectation simply didn't figure in his mind. 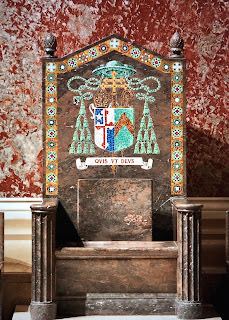 However, once Wuerl's already-tenuous standing took a further hit in January after reports that the cardinal hadn't disclosed his full knowledge of allegations made against his predecessor, the now-laicized Theodore McCarrick – and given Gregory's private frustration that much of the current bench "still doesn't get it" in its attempts to respond to the crisis – as the process wore on and the conversation increasingly turned toward him, in the end, accepting the move wasn't a choice because of how much was riding on it, both for the Stateside church and for Francis himself. 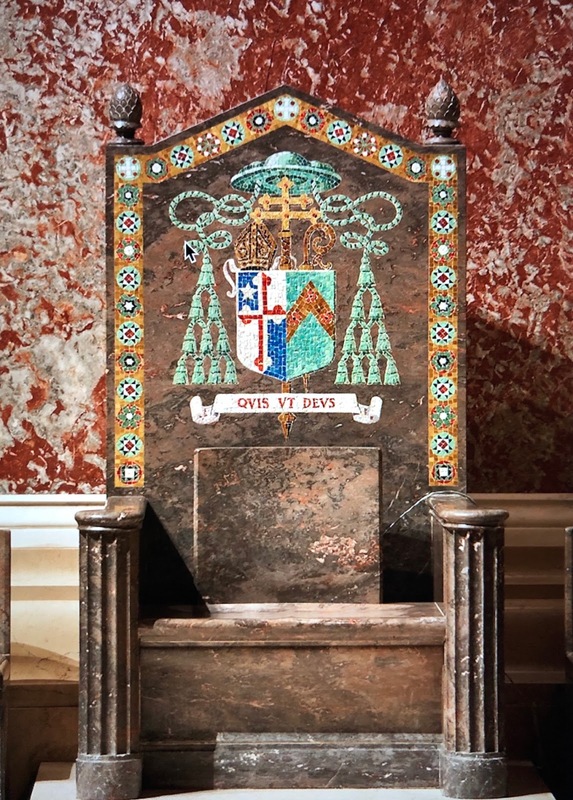 For the third time in a row, the Chair of St Matthew's has gone to a well-seasoned prelate who's leaving a diocese larger than Washington for the banks of the Potomac. Still, that's not merely a reflection on the prominence of the Federal District, but the increasing complexity of its local church in light of a significant growth-spurt. With a vibrant inner-city scene comprised of gentrifying parishes and historic ethnic enclaves – anchored by a Black Catholic community that's long been a political powerhouse – and teeming parishes in the Maryland suburbs marked by overflowing schools and ten or more weekend Masses in three or four languages, the pastoral reality of today's DC Catholicism is far more Atlanta than the Mid-Atlantic. 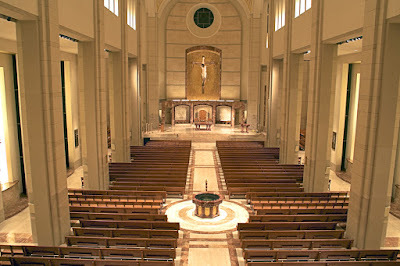 While this reality has largely gone overshadowed through the succession in light of the towering challenges of the crisis and the political tightrope, with the archdiocese even now scouting out locations in its far suburbs for the potential construction of new parishes, having planned and opened several dozen mega-churches across North Georgia's 69 counties, the new archbishop arrives particularly well-equipped for this critical aspect of the job, not to mention the traffic that comes with the sprawl. At the same time, as an appreciation of and ability to engage with the increasing diversity of the DC fold has been a top quality sought by some of the locals – so much so that, for the first time for Washington, a facility in Spanish was felt to be a prerequisite – if you've ever seen the procession at Atlanta's annual Eucharistic Congress (which draws over 30,000 parishioners to the city's convention center every Corpus Christi weekend), you know that box is checked. On another front, today's appointment shatters another major historic precedent. 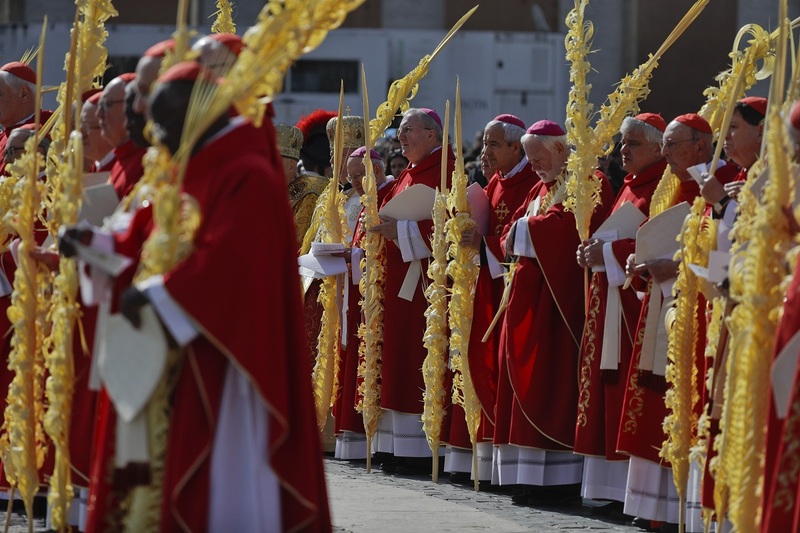 From the inception of a permanent conference of bishops on these shores a century ago, the ascent of collegial governance has been accompanied by a paranoia over giving too much clout to any one hierarch. 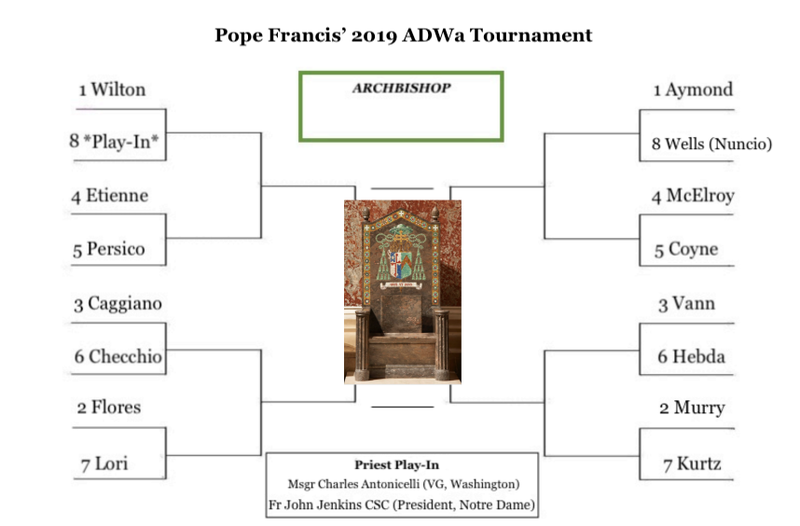 In its Stateside incarnation, that's meant the unspoken norm of keeping the archbishop of Washington out of the gears of the USCCB, which has made for an enduring tension between the conference and the archdiocese. Of course, Gregory's already served his three years in the president's chair – and, having overcome formidable resistance both at home and in Rome to enact what became the Dallas Charter, no presidency has been as consequential before or since. Nonetheless, following November's formation of an unprecedented "task force" comprised of the conference's former presidents to guide the bench's handling of the crisis, Wilt's already been returned to the catbird's seat, and today's move will only serve to burnish that influence. A 10am press conference has been called at the Washington Chancery to formally introduce the archbishop-elect – Whispers is on the ground with full coverage to come. Gregory's Installation is slated for Tuesday, May 21st, a subsequent change from the previously-announced 17th due to scheduling conflicts. SVILUPPO: And here, fullvideo of this morning's press conference. Christ is alive! He is our hope, and in a wonderful way he brings youth to our world. The very first words, then, that I would like to say to every young Christian are these: Christ is alive and he wants you to be alive! 2. He is in you, he is with you and he never abandons you. However far you may wander, he is always there, the Risen One. He calls you and he waits for you to return to him and start over again. When you feel you are growing old out of sorrow, resentment or fear, doubt or failure, he will always be there to restore your strength and your hope. 3. With great affection, I address this Apostolic Exhortation to all Christian young people. It is meant to remind you of certain convictions born of our faith, and at the same time to encourage you to grow in holiness and in commitment to your personal vocation. 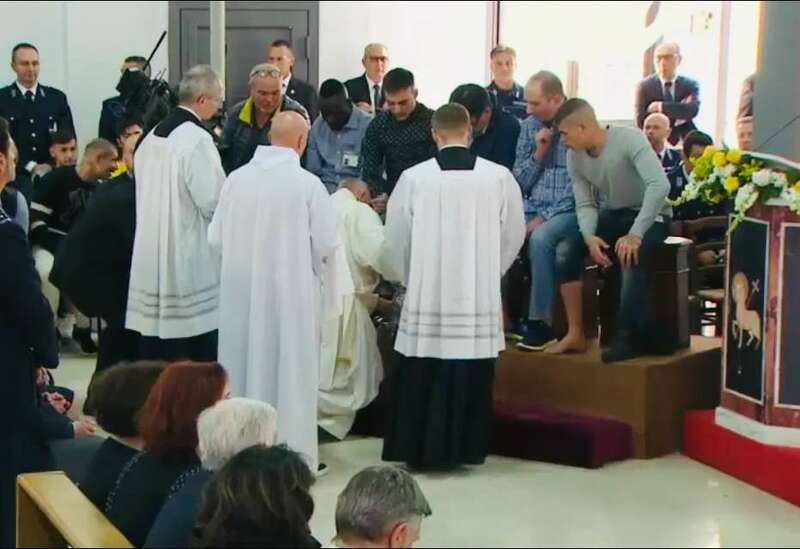 But since it is also part of a synodal process, I am also addressing this message to the entire People of God, pastors and faithful alike, since all of us are challenged and urged to reflect both on the young and for the young. 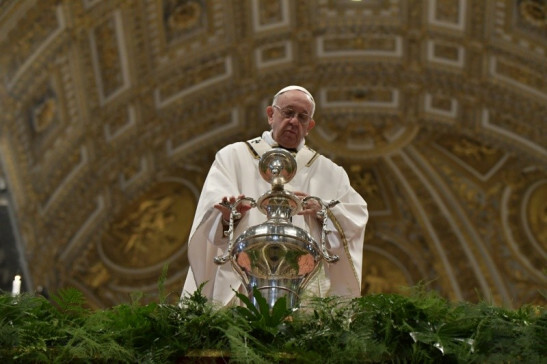 Consequently, I will speak to young people directly in some places, while in others I will propose some more general considerations for the Church’s discernment. 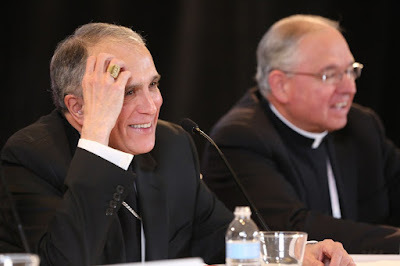 Cardinal DiNardo was taken to a Houston hospital last night [Friday, 15 March] after experiencing the symptoms of what tests today have confirmed was a mild stroke. The Cardinal is resting comfortably and conversing with associates, doctors and nurses. 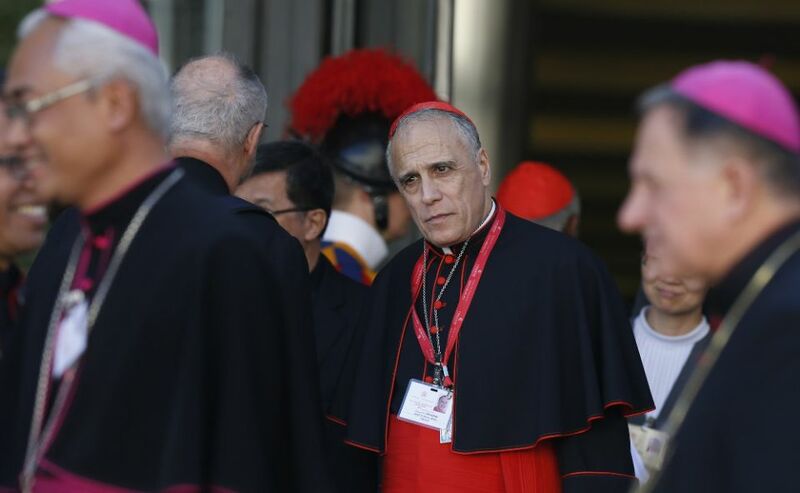 It is expected that Cardinal DiNardo will remain hospitalized for a few more days of testing and observation, followed by a transfer to another facility for rehabilitation. he is grateful to the doctors and nurses for their wonderful care and for continued prayers during his recovery. Cardinal DiNardo said, "With so much to do, I am looking forward to getting back to work as soon as possible." 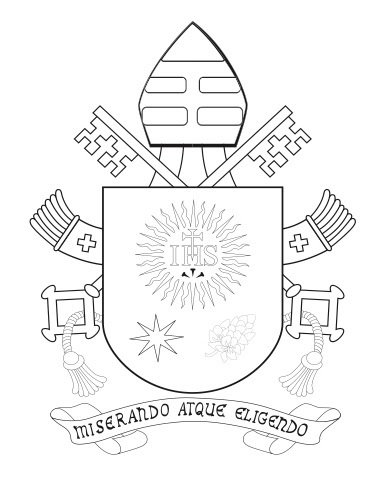 According to a separate statement circulated privately to the US bench and obtained by Whispers, as the USCCB by-laws provide that the bench's “Vice President ... shall have such powers and perform such other duties as may be assigned him by the President," as of tonight, DiNardo "has assigned [Los Angeles'] Archbishop [José] Gomez, as Vice President, to assist in executing the day-to-day responsibilities of the Presidency" for the period of his recovery. In other words, for all practical purposes, the Mexican-born, 68 year-old head of the largest diocese American Catholicism has ever known is suddenly the Acting President of the US bishops – even on a pro tem basis, the first Latino ever to lead an episcopal bench north of the Rio Grande. Just when you thought things weren't eventful enough. Then again, lest anybody forgot, this was a "joint presidency" from its outset. Just shy of his 70th birthday in late May, DiNardo – the first cardinal ever created in the American South – is in the home stretch of his three-year term at the bench's helm, which'll end with the election of the new Executive in November. 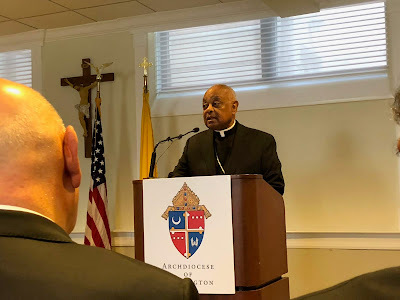 Over the nearly five-decade history of the modern Stateside conference (rebooted as it was in the wake of Vatican II), not in memory has a Vice-President been called to publicly "assist" at the body's helm as Acting Chief. Then again, as the Presidency takes at least a third of its occupant's energy in a normal time – always beginning with a first-thing hourlong call from the Washington headquarters every morning – lest anyone forgot, these days are anything but "normal." Having served as the US bench's delegate to last month's abuse summit in Rome, DiNardo was stricken just after returning home from this past week's USCCB Administrative Committee meeting in Washington, which set the agenda for the bench's June meeting in Baltimore and its expected plan to vote on four major documents enhancing the accountability of bishops, both in terms of direct allegations against them and/or their handling of abuse cases. As one Whispers op relayed from the Admin talks, DiNardo appeared "ashen and tired" over the two-day DC meeting, echoing weeks of concern from within his inner circle over the unrelenting workload. 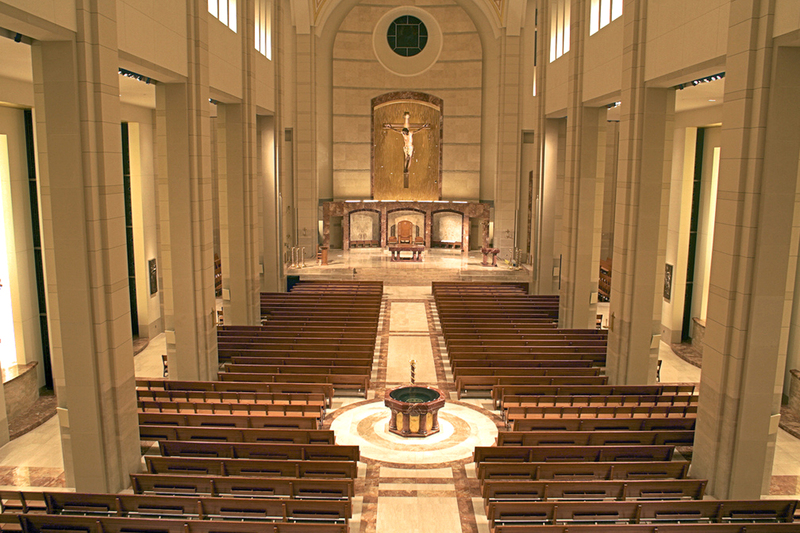 When the wear-down finally caught up with him, a Houston op reports that the cardinal was presiding over a Friday night Stations of the Cross in the Cathedral he dedicated ten years ago next month (above) – a rite specifically held in reparation for the recent scandals – when DiNardo became unsettled at the Seventh Station (per tradition, the moment recalling when "Jesus Falls the Second Time") and needed to be taken out in a wheelchair. Per early reports from Astroworld, the president is in intensive care in a local hospital; his rehab and initial recovery period will take at least six weeks, thus keeping DiNardo – head of the US' fifth-largest diocese beyond his national role – out of commission through Holy Week and Easter.